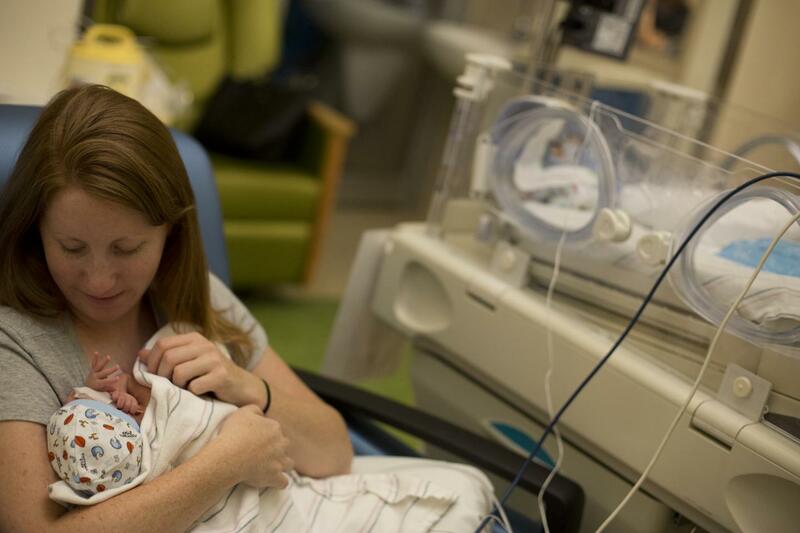 CHICAGO–Almost half of parents whose children were admitted to Children's National Health System's neonatal intensive care unit (NICU) experienced postpartum depressive symptoms, anxiety and stress when their newborns were discharged from the hospital. And parents who were the most anxious also were the most depressed, according to research presented during the 2017 American Academy of Pediatrics (AAP) national conference. The Centers for Disease Control and Prevention has found that one in 10 infants born in the United States each year is born preterm, or before 37 weeks' gestation. Because fetuses undergo dramatic growth in the final weeks of pregnancy, readying them for life outside of the womb, tiny preemies often need help in the NICU with such essentials as breathing, eating and regulating their body temperature. Some very sick newborns die. Because their infants' lives hang in the balance, NICU parents are at particular risk for poor emotional function, including mood disorders, anxiety and distress. Children's National Neonatologist Lamia Soghier, M.D., and the study team tried to determine factors closely associated with poor emotional function in order to identify at-risk parents most in need of mental health support. The study team enrolled 300 parents and infants in a randomized controlled clinical trial that explored the impact of providing peer-to-peer support to parents after their newborns are discharged from the NICU. The researchers relied on a 10-item tool to assess depressive symptoms and a 46-question tool to describe the degree of parental stress. They used regression and partial correlation to characterize the relationship between depressive symptoms, stress, gender and educational status with such factors as the infant's gestational age at birth, birth weight and length of stay. "The baby's gender, gestational age at birth and length of NICU stay were associated with the parents having more pronounced depressive symptoms," Dr. Soghier says. "Paradoxically, parents whose newborns were close to full-term at delivery had 6.6-fold increased odds of having elevated CES-D scores compared with parents of preemies born prior to 28 weeks' gestation. Stress levels were higher in mothers compared with fathers, but older parents had lower levels of stress than younger parents." Lamia Soghier M.D. ; Katherine I. Kritikos, M.P.H. ; Cara L. Carty, Ph.D.; Lisa K. Tuchman, M.D., M.P.H. ; Randi Streisand, Ph.D.; and Karen R. Fratantoni, M.D., M.P.H.